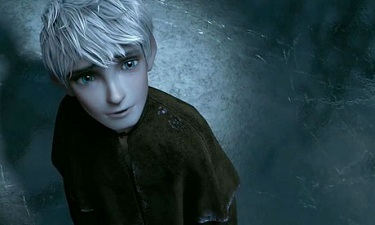 Rise of the Guardians is one of DreamWorks Animation’s most ambitious films to date, allowing families to get to know the icons of childhood in a whole new way. 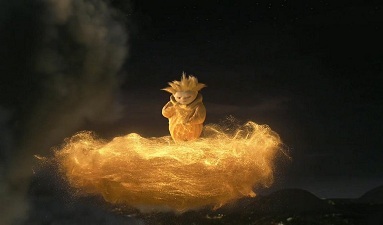 Its mythic premise provided the artists at the studio with an opportunity to let their imaginations soar, producing a truly unique take on the imaginary figures of childhood and the innocence and joy they represent. 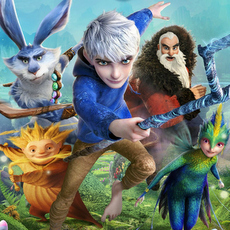 In Rise of the Guardians, North (Alec Baldwin), Bunnymund (Hugh Jackman), Tooth (Isla Fisher), and Sandman try to recruit the mysterious Jack Frost (Chris Pine) to help them stop Pitch (Jude Law) from putting an end to childhood belief and sending the world into eternal darkness. It was certainly appealing for DreamWorks Animation to recruit French animator Pierre Perifel after his training at the world-renowned Gobelins school of animation and a rich experience in France with traditional animation. From animator (where he received an Annie for his hand-drawn animation for Secrets of the Furious Five) to lead animator (Lord Shen, Kung Fu Panda 2, an Annie Award nominee), he’s now one of the Animation Supervisors of the Glendale studio, and one of their most promising talents. Animated Views: Would you tell us about your animated journey from France to California, and from 2D to 3D? Pierre Perifel: I just found out that I was really into animation when I was in High School. First, I went to an art school called Emile Cohl to learn drawing basically. I studied at Emile Cohl for three years and before even graduating – because it’s in four years – I tried the entrance exam for Gobelins and then got in there. I studied for three years at Gobelins and graduated with a movie called The Building, which people liked very much. In the jury, there was someone from DreamWorks Animation and they proposed that I join the studio. But at the time I wanted to do 2D and there was only 3D there. Also, my wife was pregnant. So, I refused that first proposal! At the same time, a very good friend of mine was interviewed and was hired. Two years later, I came to visit him on vacation. I left a demo reel at DreamWorks and they remembered me. So, they told me that they still had a spot for me. During those two years, I had done my 2D things like Lucky Luke, Nocturnia, Curious George, The Illustionist, and I was ready to move on to something else and for an experience abroad. I arrived at DreamWorks in 2008 and my first thing was a 2D short movie for Kung Fu Panda, Secrets of the Furious Five, which was funny! I got an Annie Award for that animation. After that, I went on doing some CG. I worked a little bit on Monsters Vs. Aliens for like two months. Then I moved to Shrek 4 – I loved working on that movie! On Kung Fu Panda 2, they gave me some 2D sequences to do, as well as leading the bad guy. I didn’t have a team of animators, but was in charge of him, which was really cool. I got an Annie Award nomination for animation of Lord Shen. 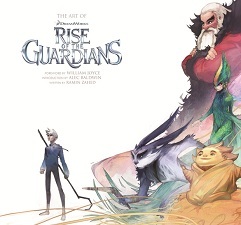 After that, I switched on Guardians where was promoted as Supervising Animator. As I’m done with Guardians now, I’m doing Me and My Shadow. AV: What kind of an environment did you discover at DreamWorks? PP: Obviously, it’s a great place for animation. You’re just surrounded by the best animators. When you arrive it’s quite impressive and you feel really humble. All those big names are there. Then you learn from them and work with them, and you realize that they’re just humans like you! But you can take so many things from them. It’s so rich, artistically. Of course, we’re still making blockbuster movies. So, it’s not like independent, crazy artistic films which I love. But at the same time, in terms of pure craftmanship and how to do the work and to push as far as you can, I think there’s no better place than here. Those big studios are just perfect for that. You have the time to do the best animation you want. And the main thing I realized is not being an animator for the sake of moving things, but being an animator to be actor basically. Just learning acting quite deeply. How to bring real emotions to the characters more than just making them move. A little bit what I was tending to do in France. That’s the main thing I learned here. AV: How did you get on Guardians? PP: I was kind of close with the head of animation of Guardians. At the end of Panda 2, we already talked together about the characters and what personality he’d want to bring to them. At that time, there were two really cool movies ready for production. The Croods and Rise of the Guardians. So, they asked me where I wanted to go. Both projects were interesting, but I was attracted by what could be brought to the characters in Guardians. Also, I had really good friends involved into the development of the film. So, that’s basically how it happened. It was a really young leadership team; we hired a team of young animators who really wanted to do well. And that made out quite nicely, I think. 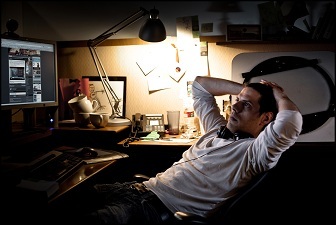 AV: What is it like to be an Animation Supervisor? PP: You discover that it’s not just about you being good at animation. It’s also about being good at management. There are people above you who ask you to do things and you have to ask your team to do those things as well. This is certainly not what I love the most in being an Animation Sup. It’s just one side of it, and then, of course, there’s the learning experience of how to deal with everyone. You have to learn listening. Of course, you can be a good leader naturally, but I think you always have to learn from experience, you know. So, it’s a mix of being able to do good animation and to lead your team to a greater artistic achievement, making them wanting to do more. AV: What kind of artistic achievements did you reach on Guardians? PP: There were a lot of characters per shot to animate – really a lot!! – and then we wanted a very precise and realistic animation, very much pushed. We wanted real emotions with very detailed facial expressions, facial animation. Because we had a quite realistic style in terms of design and visuals of the movie. So, we couldn’t go very cartoony with the characters, obviously. We had to just push the realistic envelop with the animation. That’s what we did. Every single animator that was coming on the show, we asked them to do two animation tests. One was based on eyes study. Eyes animation from live action reference. What makes an eye move naturally? That means studying very carefully what the muscles involved are, how blink happens, how it interacts with the brows, the cheeks, the nose, the lips and the eye itself. Then, we asked the animators to do a physical test – full body, chest, weight, movements. Then we were ready to go, using a lot of references to achieve that realistic style. We set our basics in terms of acting, developing the personalities of the characters in very specific ways: what makes Jack Jack, North North, Tooth Tooth… We wanted those acting choices to be very clear in the movie and to be consistent throughout the film. AV: Indeed, the five legends couldn’t be more different from each other, be it in their kind, their costume, their reactions, or their way of expressing emotions. PP: The nature of the characters themselves and the designs were very helpful to animate them. Toothfairy is a mix of a bird and a human, Bunny is a bunny, North is a big square basically, with arms, legs and head, Jack can fly… Those things give you very clear directions for the way they’re gonna move. Take Toothfairy. We wondered what kind of a bird would be interesting to study and to integrate to her movements. We thought hummingbird would make a good reference. All the more since she has all those mini-fairies around her almost all the time. They really are like hummingbirds. We thought: what if we gave a little bit of that movement to Toothfairy herself? What if she never walks, she’s always flying? When she’s weaker, that would be the only moment when she would walk. As for North, he can’t move easily. Basically, he’s a square, a cube. He’s always two legs planted in the ground, and limited movements. 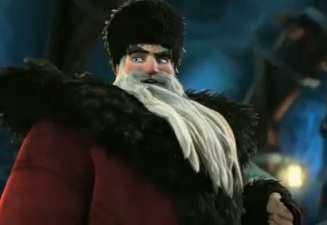 He’s kind of a Russian soldier, very martial, stiff, almost rude in some ways, and at the same time, he’s Santa Claus, the jolly, playful, big guy close to the children. Because of those two personalities, we could alternate two different qualities of movements: stiff movements and much more playful ones. Bunny is like a triangle, which makes him move like a rocket. Sandman is a circle, an eery circle. He doesn’t have any gravity, or not the same gravity as the others, floating all the time. Brainstorming with the director, the head of animation and all the Animation Sups led us to those very specific characters. Of course, it was not just done at the beginning of the production. The characters are always evolving throughout the production, with your team bringing ideas you never thought of, and most of the time we embrace those new ways of moving, while keeping them within the boundaries that were set at the beginning of the movie. When you see the movie in its entirety, I think it’s quite consistent. Each character has his very own way of moving and reacting. AV: Director Peter Ramsey was a storyboard artist, the perfect mix between writing and art. How did you work with him? PP: It shows quite a lot in his way of directing. 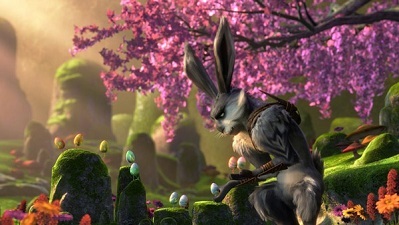 DreamWorks often looks to story artists to direct their animated films. At least, all of the directors I worked with were story artists. Story artists occupy a central position in filmmaking, so that’s logical for them to become directors. You have to know about story, about visuals, about animation as well. The difference with Peter was that he was a story artist in live action. For a long, long time. He worked with Spielberg, Coppola and other big names. In that way, he was very different from the other directors I had because he would be directing us as actors not as animators. He was very specific and demanding in terms of acting, pushing the emotions as far as he could, trying to reach as close as possible the truth of emotion. AV: What is your favorite scene in the movie? 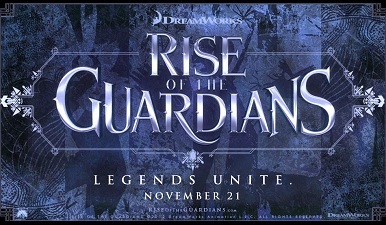 PP: There is a scene where the Guardians need to find a new guardian to help them fight the Bogeyman. All the Guardians regroup around the Globe Room. North is trying to convince them that there’s a threat to all of them, and they don’t believe him. He tries to make his point, being super big in his movements, trying to emphasize everything he says. It’s very theatrical. So, I had to push a lot his movements, making him bigger than he usually is. It was a lot of fun to do! 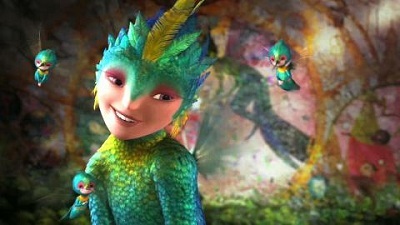 AV: To me, Rise of the Guardians is really the most ambitious DreamWorks Animation film to date. PP: Maybe not the most ambitious, but probably one of the most ambitious ones. It’s a very big, epic movie. When you see the visuals in theater, it’s so rich, there’s so many things, so many layers of details. 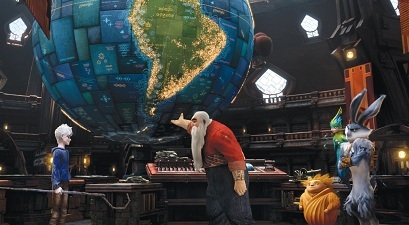 Animation-wise, style-wise, character-wise, lighting, visual effects…it really shows. Every single department was at the top of their game. They did huge, phenomenal work! Our thanks to Pierre Perifel and David Hail!